The Golden State Warriors knelt on an expedition. The Detroit Piston team won 111-102 home games against the regular season Golden State of the NBA 2018, held at Little Sears Arena in Detroit, Michigan. It was a return to Stephen Curry's injury. Curry was absent in 11 games after injured in the game against the Milwaukee Bugs in June. Curry's pitching sensation failed to ignite with 27 points, 5 rebounds, 3 assists, 2 steels FG 10/121 3P 3/9. Detroit led the first half by 54-46. 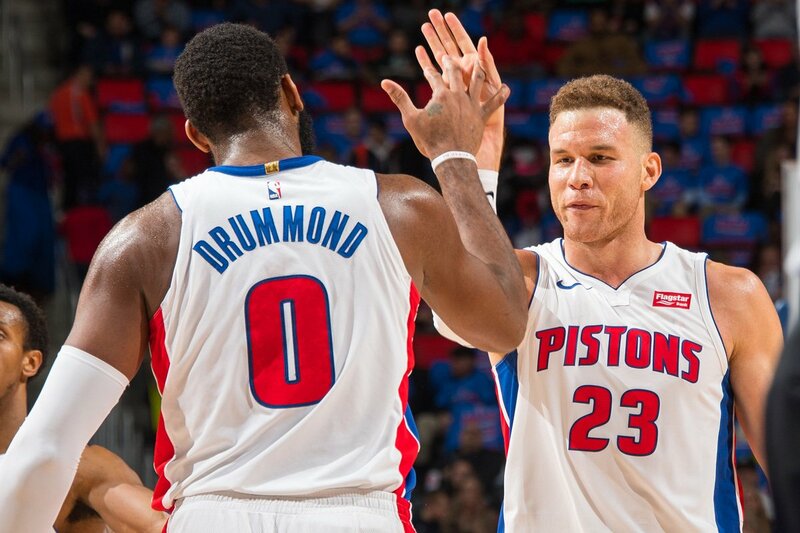 Thanks to Blake Griffin, Andre Drummond and Stanley Johnson's performance on the bench. Golden State did not listen. Only one out of every 10 3-pointers knocked down the offensive. Golden State took part in the third quarter. Kevin Durant and Stephen Curry, Klay Thompson combined a total of 25 points. However, Detroit's momentum was also tough. Griffin didn't give up his spirits by scoring nine points. The Detroit atmosphere was better at the end of the game. Golden State followed belatedly as Durant and Curry scored consecutive goals but lacked time. Also, the Detroit fielder solidified his victory at every crucial moment. In the end, Detroit defeated Golden State to win. It was the result of the winning run under the goal and scoring goals after turnovers. Detroit scored a total of 12 three-pointers, six more than Golden State. He has consistently attacked his golden-state weakness with solid defense and under goal. In contrast, Golden State lost both away games. After winning three games in a row, he won two consecutive games. Curry, Durant, and Thompson scored 76 points together on the day, but the field was very rough, and other players lacked help. The main part of the victory was Griffin. Griffin scored 26 points, 6 rebounds, 5 assists Dummond with 16 points and 19 rebounds with 2 blocks. On the bench, Johnson added 19 points 7 rebounds 2 assists.